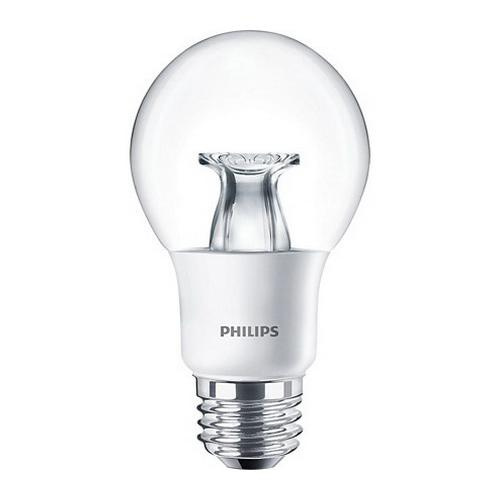 Philips Lighting 7-Watt A-19 E26 Single contact medium screw candle LED lamp offers 450-Lumens of light output. It has color rendering index of 80. Lamp with 2200 - 2700K color temperature rating radiates warm white light to the surrounding. It has voltage rating of 120-Volts at 60-Hz and current rating of 68-Milli-Amps. Lamp in clear color, has average life of 25000 hours. This lamp has overall length of 111 mm.